Swiss Institute is pleased to present the first institutional solo exhibition in the United States of Zurich-based artist Mathis Altmann. 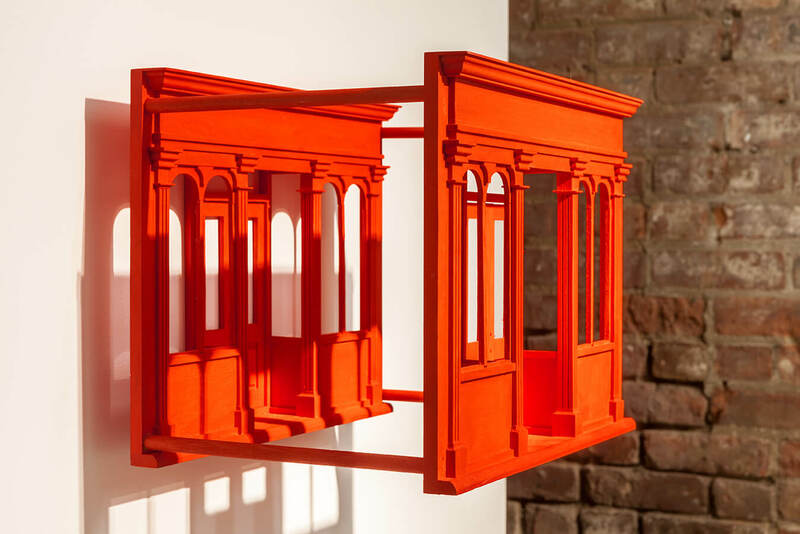 For Foul Matters, Altmann has created a new series of sculptures, continuing his ongoing material excavation into the infrastructural ‘guts’ of urban spaces. 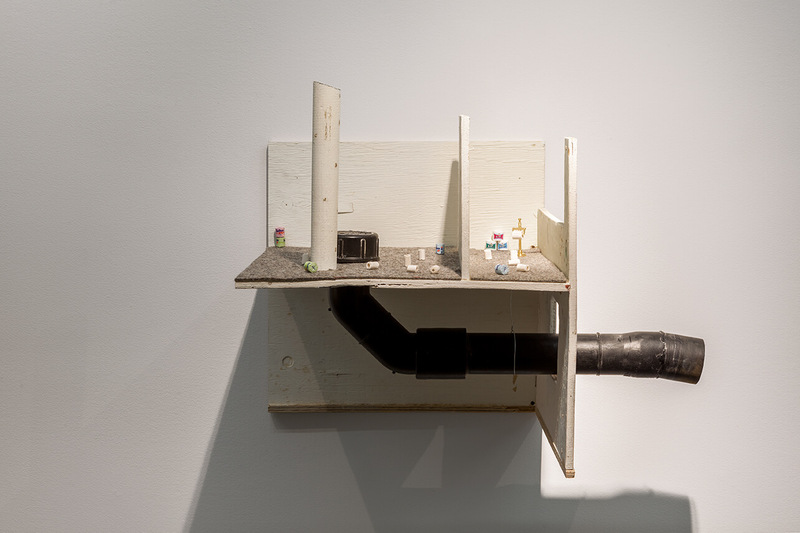 Altmann frequently works with concrete, as well as construction debris such as pipes and wires, to create rough-hewn architectural miniatures that are nested with household objects relating to the management of order in human bodies – hygiene, sanitation, waste disposal. 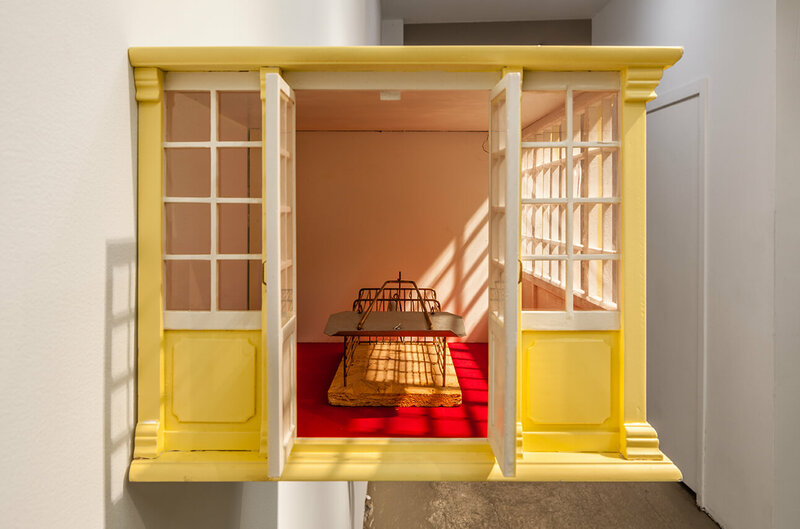 Often fitted with peepholes and pinhole cameras for peering at the tiny rooms within, Altmann’s contrast of interior and exterior narrates a voyeuristic intimacy focused on the banal. 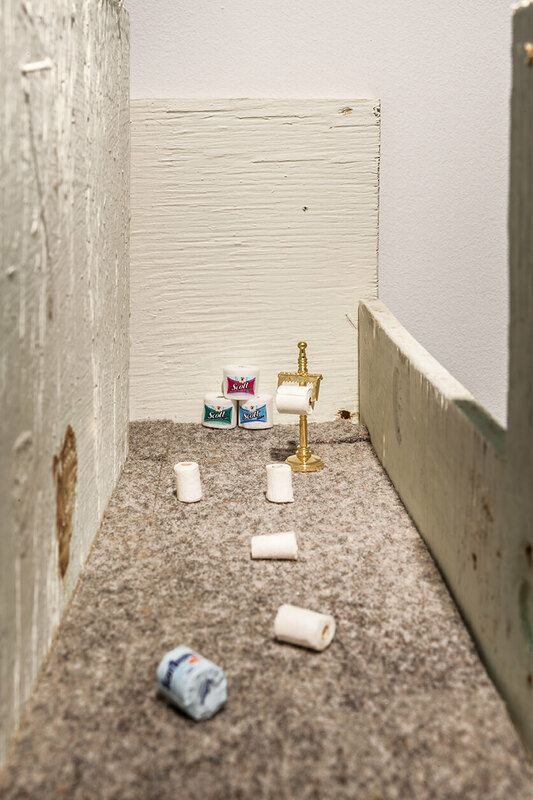 At Swiss Institute, as though pulling out the insides of a building, Altmann has extracted formal interior elements from former works, mounting models made of domestic objects, trash, building supplies and dollhouse furniture on the wall, where they stand open without a protective enclosure. 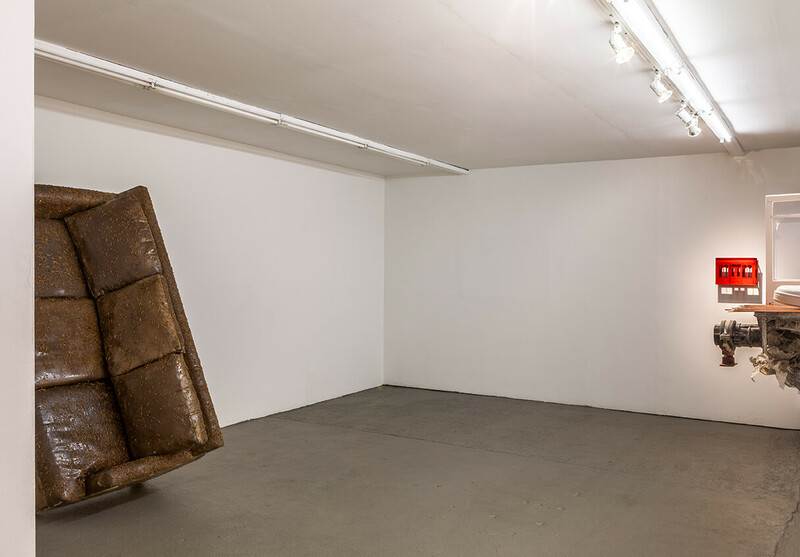 Accompanying the sculptures is a second-hand sofa, leaning against the wall to furnish the main part of the exhibition space. 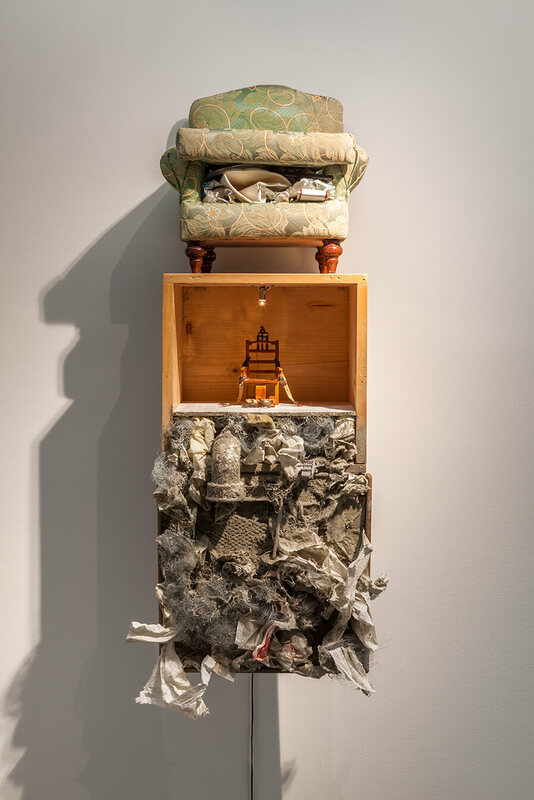 Though doubtless already host to an array of microorganisms, here the base and cushions are covered with the exoskeletons of thousands of mealworms. 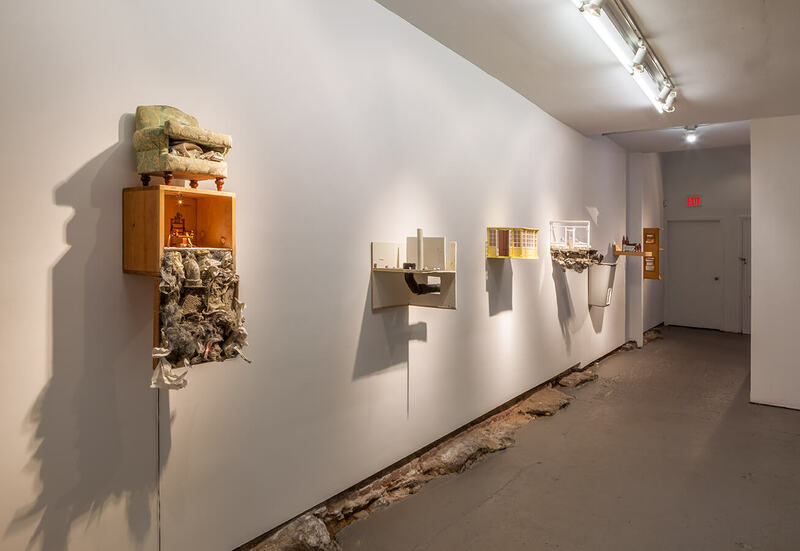 Functioning as stagnant, occupying vessels, the body casings conflate architecture and anatomy to inform a discursive motif: stripped out shells with no insides. 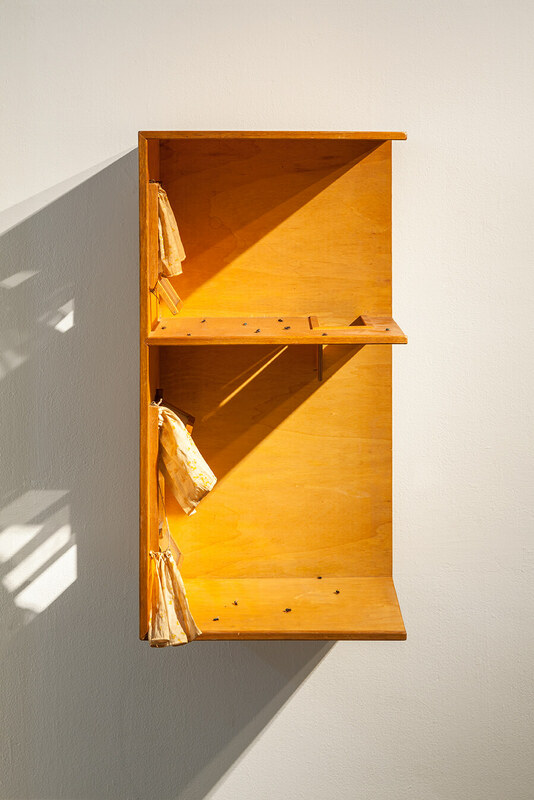 Mathis Altmann: Foul Matters is the eighth exhibition in the ONE FOR ALL series at SI. 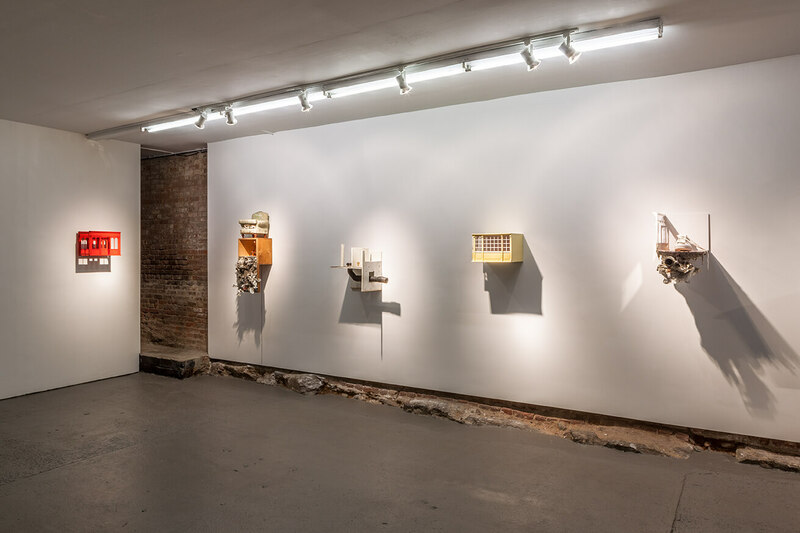 Building on Swiss Institute’s long history of providing a platform for emerging artists, each show is the artist’s first institutional solo exhibition in the United States, with a newly commissioned body of work specifically created for the exhibition space. 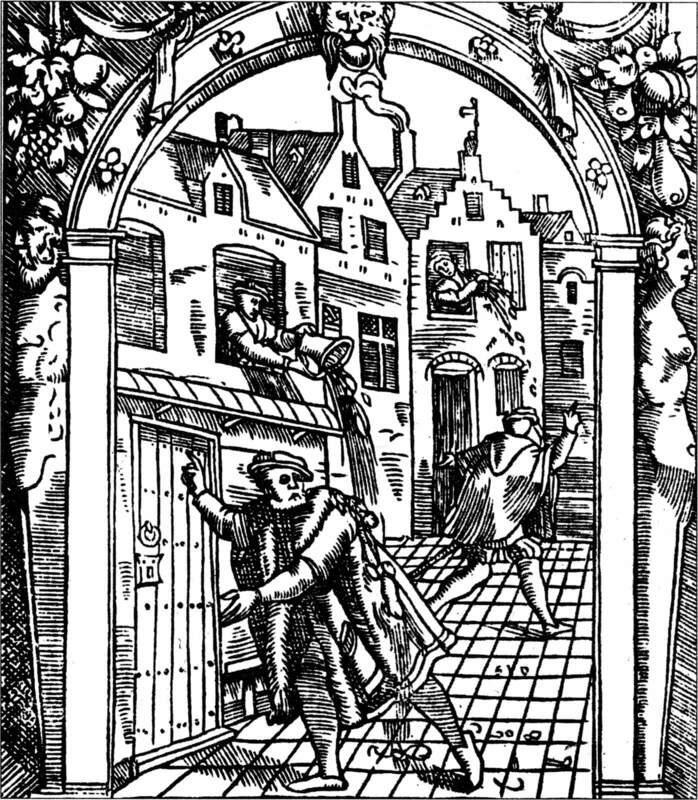 Mathis Altmann (b. 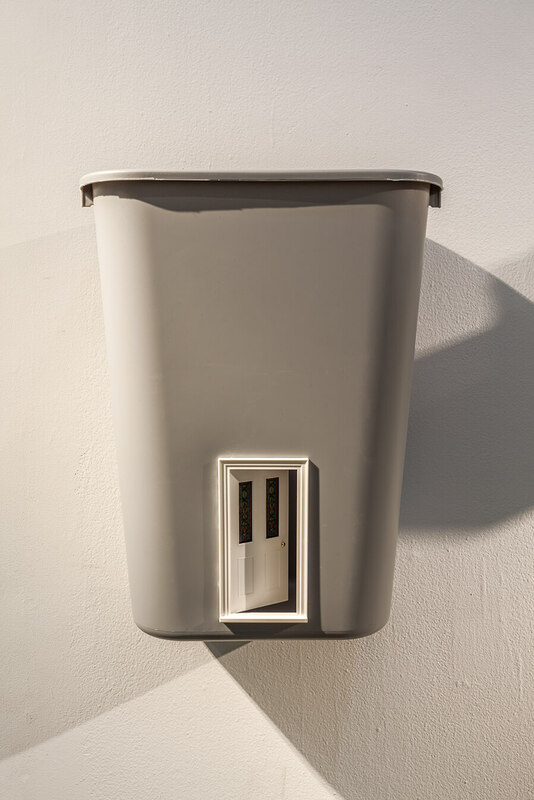 1987, Munich, Germany) studied at the Zurich University of the Arts and has received numerous awards such as the Prix Mobilière (2016) and the Swiss Art Award (2015). 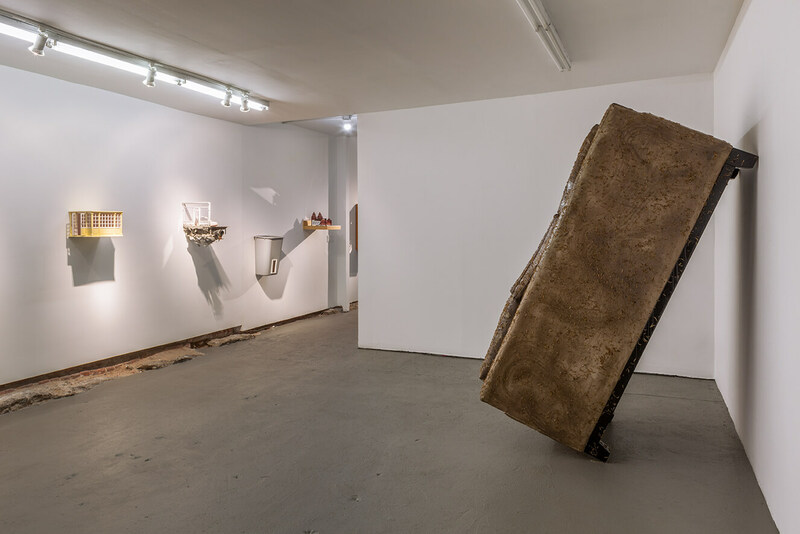 Recent solo exhibitions include Marf Akkus, Truth & Consequences, Geneva (2016); The Sewager: Zwischen Krieg & Party, Halle für Kunst, Lüneburg (2015); and Psycho Bombs, Freedman Fitzpatrick, Los Angeles, (2014). 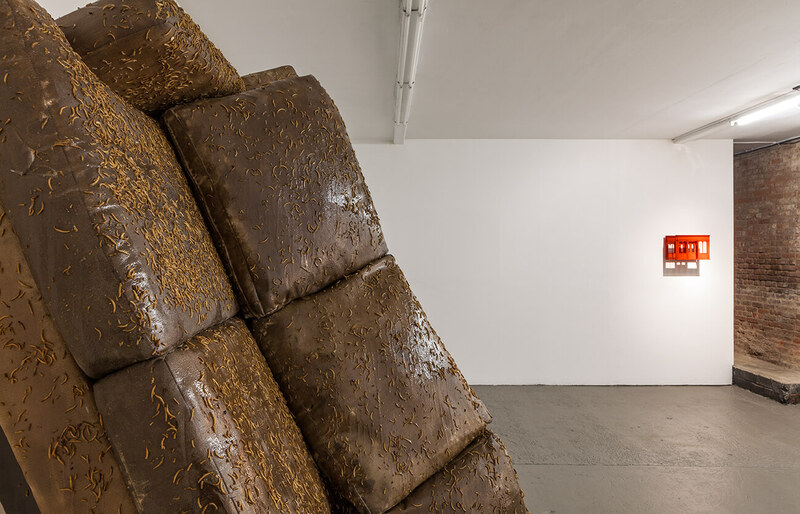 Recent group exhibitions include YOUR MEMORIES ARE OUR FUTURE, Palais de Tokyo with Manifesta 11, at ACRUSH AG, Zurich (2016); Raw and Delirious, Kunsthalle Bern (2015); Chat Jet (Part2) Skulptur in Reflexion, Halle für Kunst und Medien, Graz (2014); and Holes in the Walls / Early Works 1948-2013, Kunsthalle Freiburg (2013). SWISS INSTITUTE PROGRAMMING IS MADE POSSIBLE IN PART WITH PUBLIC FUNDS FROM PRO HELVETIA, SWISS ARTS COUNCIL, THE NEW YORK STATE COUNCIL ON THE ARTS, WITH THE SUPPORT OF GOVERNOR ANDREW CUOMO AND THE NEW YORK STATE LEGISLATURE, AND THE NEW YORK CITY DEPARTMENT OF CULTURAL AFFAIRS IN PARTNERSHIP WITH THE CITY COUNCIL. MAIN SPONSORS INCLUDE LUMA FOUNDATION, THE ANDY WARHOL FOUNDATION FOR THE VISUAL ARTS, AND FRIENDS OF SWISS INSTITUTE (FOSI), LEADING PARTNERS INCLUDE UBS AND VICTORINOX. SWISS INSTITUTE GRATEFULLY ACKNOWLEDGES STELLA ARTOIS AS BENEFACTOR, SWISS RE AS PUBLIC PROGRAMS SPONSOR, AND SWISS AS TRAVEL PARTNER. YesVacancy, 2016. Wood, cotton, glass, flies. 31 1⁄2 x 16 x 11 1⁄4 in. Courtesy the artist. YesVacancy, 2016, detail. 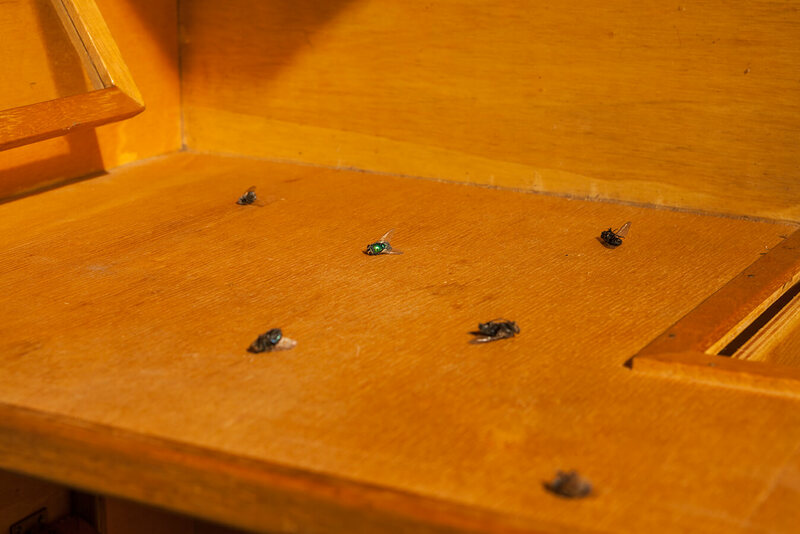 Wood, cotton, glass, flies. 31 1⁄2 x 16 x 11 1⁄4 in. Courtesy the artist. 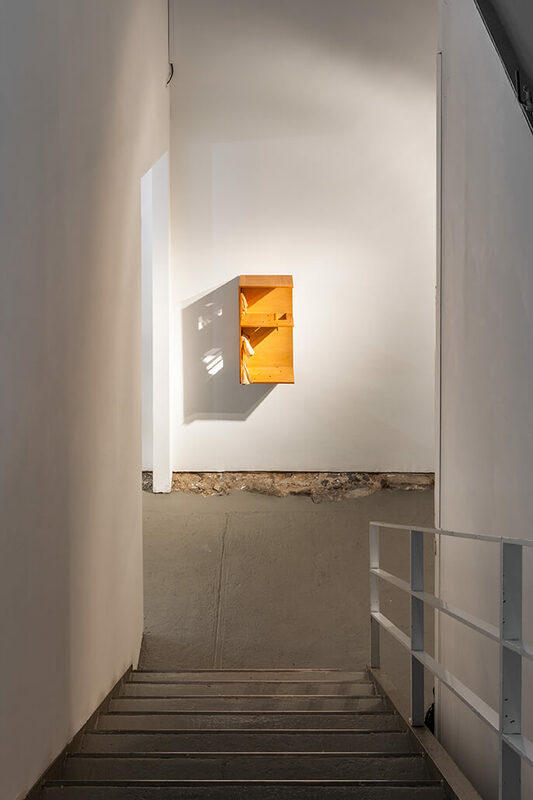 Mathis Altmann, Foul Matters, installation view. Upper Class Fuckery, 2016. Wood, miniatures, glass, cloth, plastic. 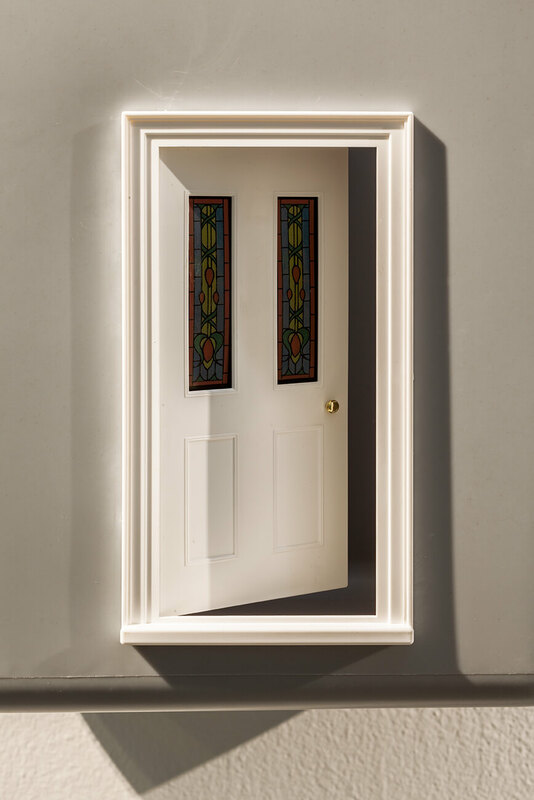 16 x 15 3⁄4 x 10 1⁄4 in. Courtesy the artist. Domestic Waste Police, 2016. Plastic, brass. 15 x 11 x 20 inches. Courtesy the artist. 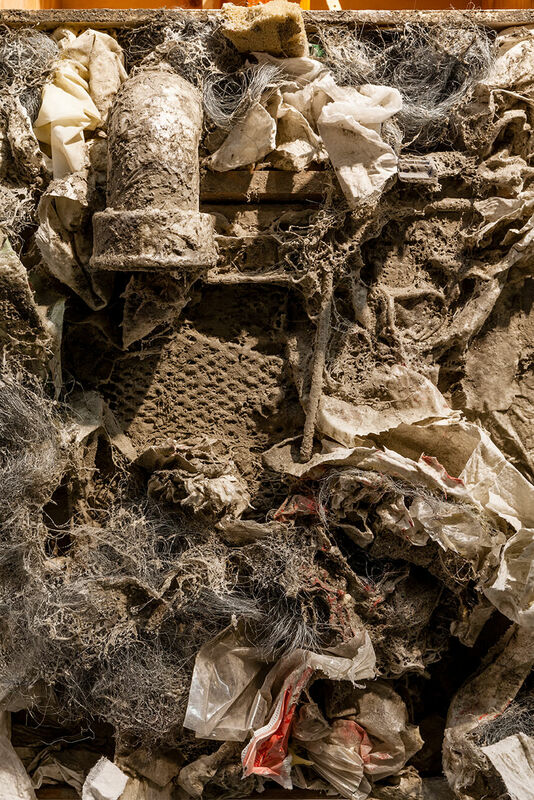 Domestic Waste Police, 2016, detail. Plastic, brass. 15 x 11 x 20 inches. Courtesy the artist. LO*KUS LAB, 2016. 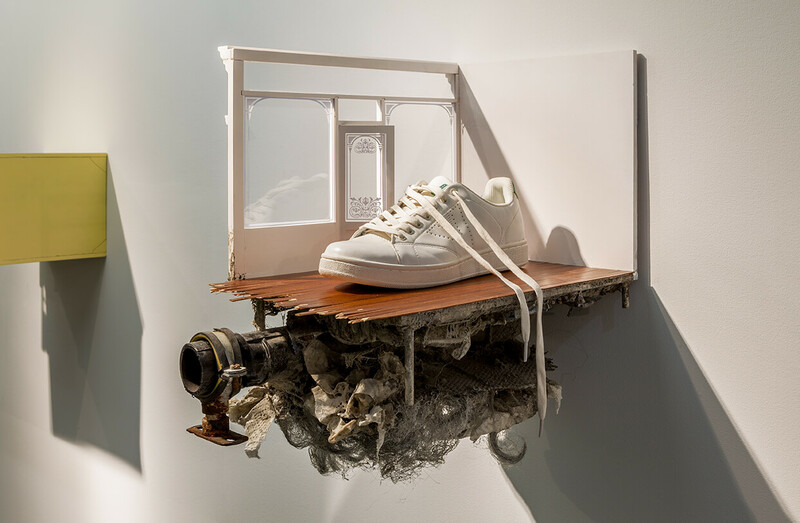 Wood, sneaker, plastic, cotton, metal, paper, acrylic glass. 18 3⁄4 x 11 1⁄2 x 17 1⁄2 in. Courtesy the artist. Neuigkeiten vom roten Teppich, 2016. MDF, acrylic glass, metal, cloth, mouse-trap. 13 1⁄4 x 11 1⁄2 x 9 in. Courtesy the artist. Neuigkeiten vom roten Teppich, 2016, detail. MDF, acrylic glass, metal, cloth, mouse-trap. 13 1⁄4 x 11 1⁄2 x 9 in. Courtesy the artist. T.P. Fair, 2016. 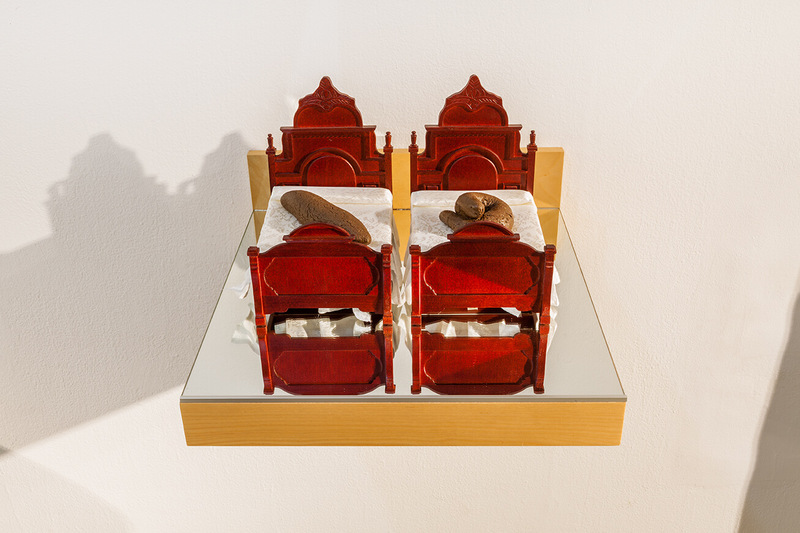 Wood, miniatures, plastic, cloth, brass 22 x 13 x 15 3⁄4 in. Courtesy the artist. T.P. Fair, 2016, detail. 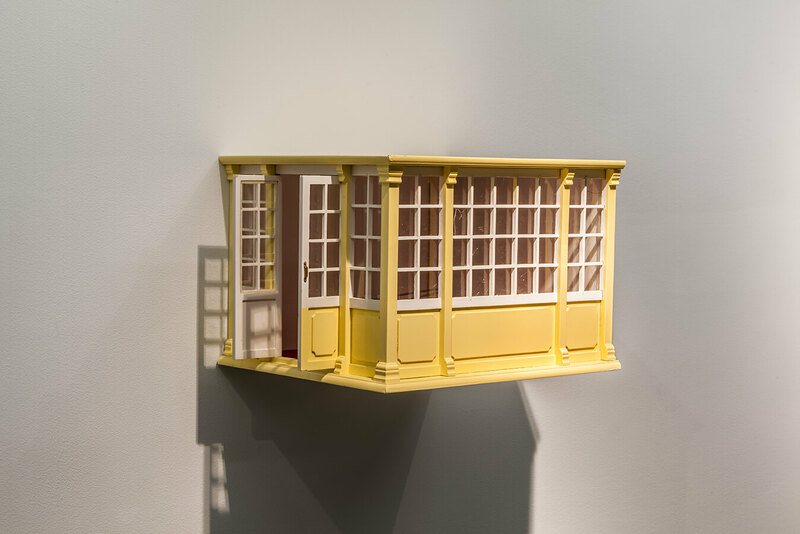 Wood, miniatures, plastic, cloth, brass 22 x 13 x 15 3⁄4 in. Courtesy the artist. Histoire de la merde, 2016. Wood, miniatures, lightbulb, cloth, plastic, metal, paper. 34 3⁄4 x 11 1⁄2 x 8 1⁄2 in. Courtesy the artist. Histoire de la merde, 2016, detail. Wood, miniatures, lightbulb, cloth, plastic, metal, paper. 34 3⁄4 x 11 1⁄2 x 8 1⁄2 in. Courtesy the artist. Hygiene and Commerce, 2016. Wood, acrylic paint. 14 x 11 1⁄2 x 10 1⁄2 cm. Courtesy the artist. Untitled, 2016. 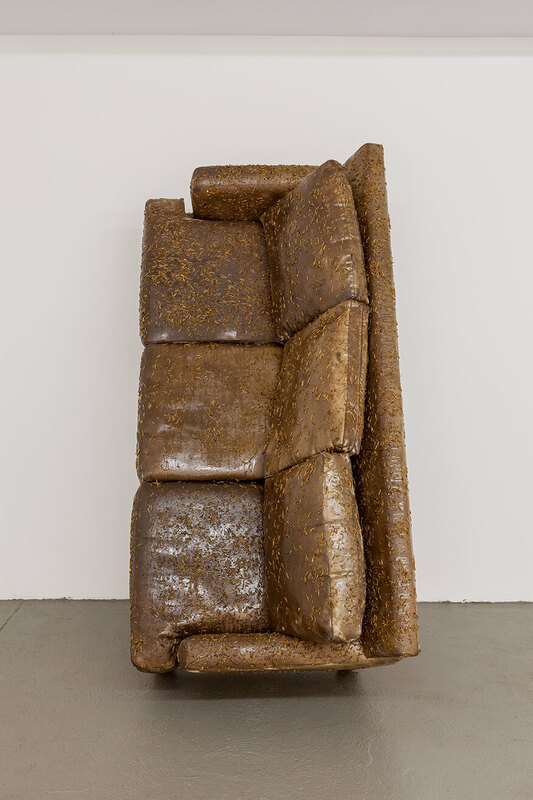 Sofa, mealworms, resin 78 1⁄2 x 32 1⁄2 x 34 in. Courtesy the artist.